How to watch Colombiana (2011) on Netflix Taiwan! Yes, Colombiana is now available on Taiwanese Netflix. It arrived for online streaming on January 7, 2019. 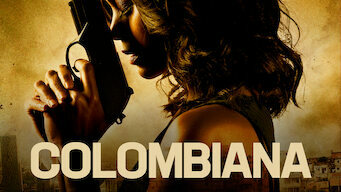 We'll keep checking Netflix Taiwan for Colombiana, and this page will be updated with any changes. After seeing Bogota gangsters murder her parents, Cataleya Restrepo turns herself into a ruthless assassin, dedicated to tracking down their killers. Buried in the past is an awful thing that makes a merciless hit woman tick. But the past doesn't stay buried forever.